This thesis proposes a framework for evaluating the mobility potential and performance of urban areas in the city region, as an instrument to support urban development that contributes positively to regional sustainable mobility objectives. The research takes a quantitative approach, modelling and measuring the characteristics of a city-region and of its individual urban areas, in terms of travel patterns and socioeconomic characteristics of the resident population, and in terms of built environment characteristics. It then explores how the built environment defines the affordances of urban areas for travelling by particular modes of transport, i.e. its walk-ability, cycleability, drive-ability and transit-ability, by developing a typology of what I call their ‘urban modality’. And finally the work combines this typology with the socio-economic characteristics of urban areas to determine their sustainable mobility potential and performance. It focuses on the case of the Randstad region of the Netherlands and its VINEX neighbourhoods, which are an emblematic example of new urban areas created under a policy programme with sustainable mobility objectives. A key stance in this work is the understanding that the location of an urban area in the region can be indicative of its population’s travel patterns, because the built environment (infrastructural) and socio-economic characteristics are interrelated and present strong regional spatial patterns. What types of urban areas support sustainable travel patterns, and what are their spatial characteristics? How do new neighbourhoods compare to the best performing urban areas, and to other areas of the same ‘modality’ type? These are some of the questions addressed in this study. There are two main contributions of this research: the methods for building and analysing integrated multimodal network models, and the framework for contextual performance evaluation using urban area typologies. The integrated multimodal network model combines the various mobility infrastructure networks and the buildings’ land use to create a detailed description of the region, using open spatial data and open source Geographic Information Systems (GIS) technologies. The network model’s spatial analysis covers local urban form indicators, such as street layout, network density and land use mix, as well as regional indicators of multimodal accessibility and network configuration (its structure), to give a holistic profile of urban areas across modes and scales of travel. The analysis results go through exploratory data mining and classification procedures to identify urban form typologies of urban areas. It is shown that there is a relation between this ‘urban modality’ of urban areas and the travel patterns of their residents, measured as a set of sustainable mobility indicators related to mode share and distance travelled. For this reason, ‘urban modality’ offers the possibility for ex-ante evaluation of sustainable mobility potential of planned urban areas. 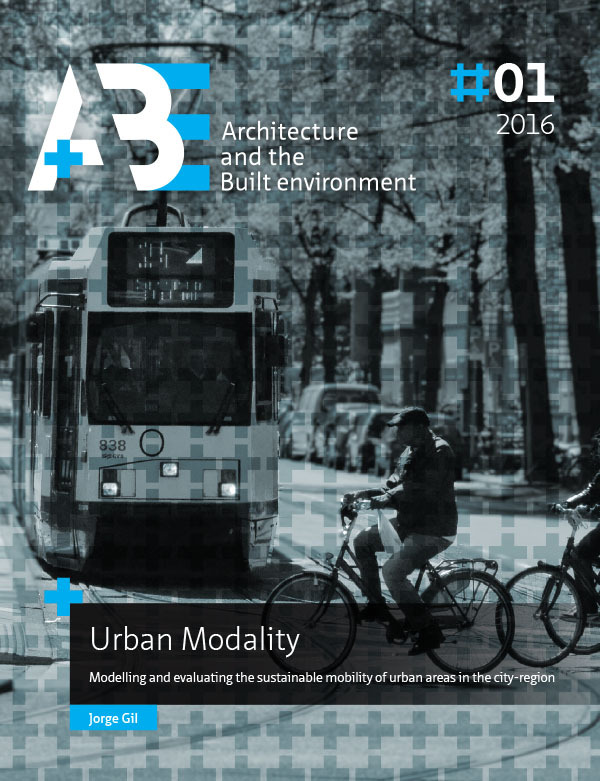 Furthermore, when combined with the socio-economic profile of the resident population, ‘urban modality’ defines a context for the ex-post evaluation of sustainable mobility performance of existing urban areas. The evaluation of suburban areas together with the more central historical urban areas gives invariably a high score in sustainable travel to the central areas, and rates the suburban areas negatively. On the other hand, the evaluation of sustainable mobility performance in the context of suburban areas of the same type allows the finer distinction of underperformers that have scope for improvement, and overachievers that provide examples of (relative) success. This contextual evaluation can become a decision support instrument for “hard” and “soft” planning measures involving sustainable mobility targets. Applying this method to the set of VINEX neighbourhoods of the Randstad leads to the conclusion that despite being planned following the same policy objectives, the neighbourhoods have different types of ‘urban modality’, thus present different levels of sustainable mobility potential. Neighbourhoods identified as underperformers within their context can be targeted for soft measures related to transport services, technology and individual attitudes to travel, to fulfil the potential of their ‘urban modality’ type. However, if this potential is not deemed satisfactory or if they already overachieve, only by retrofitting a set of infrastructure and land use characteristics will lead to a different ‘urban modality’ type, and a change in potential. Such a change can be lengthy, costly and sometimes impossible to implement ex-post. The thesis is based on a collection of published articles in peer-reviewed academic publications, with the first and last chapters providing an overview of the research and of its findings, and defining the main narrative thread.